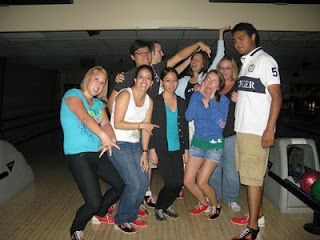 July 23, 2010: I got together with my lovely Alpha-1 coworkers for dinner at BJ's and bowling at Alley Katz. I love how I still got a pizookie (cookie with ice cream dessert) despite the fact that I was full and had 4 cookies from Subway earlier (I was only going to get two cookies, but they were 3 for $1 something...and then the lady ended up giving me an extra!)! These businesses must really know that I can never pass up a good dessert! Bowling was fun, but I think we discovered that 3 hours of bowling is a little much. I don't think anyone broke 100 except for Tiffany who used to be in a bowling league. I progressively got worse and finally gave up. Then Geoff and I were all ready to sing Brittney Spear's "...Baby One More Time" karaoke style, but they had finished taking songs for the night. :( That definitely would have been a sight to see. Haha. July 24, 2010: Kristina and I headed to Dunnellon, Florida to visit Tori and Tessa! I hadn't seen Tori in years...and had never seen Tessa, so I was very excited to catch up with them! Tessa was a trip. I love her "squat" dancing (too cute!). 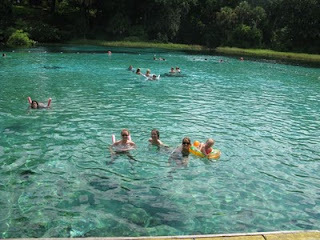 We headed to Rainbow Springs in the morning and back to the Pott's house for lunch later. It was a gorgeous day....sun bright and water crystal clear (and cold, but I enjoyed it). 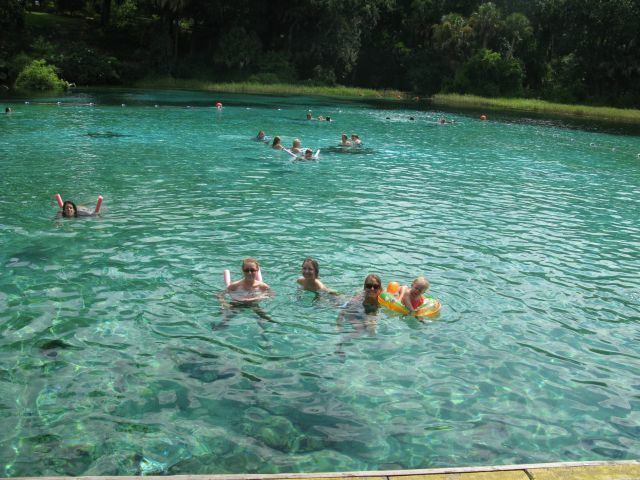 Did you know Rainbow Springs is the fourth largest spring in Florida? I definitely want to go visit again. Also, Jimmy Ho posted our engagement pictures! You can check them out at http://www.pictage.com/844617. 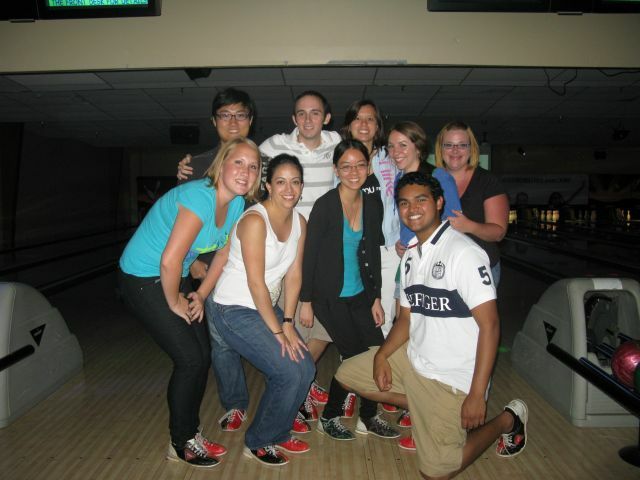 I was very happy with them! I still can't decide which one is my favorite.